I don't claim to be an expert by any stretch of the imagination, but its my hope to make this as realistic as possible (in terms of monetary and capability, as far as Australia is concerned!). So if the forum would allow me, I will be leaning on the knowledge, experience, and expertise of forum members for they're inputs please. The compilation of my our work will be compiled and put up in a chronological dated order in a stand alone post titled 'Alternative ADF ORBAT'! A few guiding points that I have enshrined in my 'Alternative ADF ORBAT', is the ADF/Governments adherence to a non-risk approach to the selection and acquisition of weapons/weapons systems/weapons platforms (My continuous frustration and anger at the 'real world ADF/Governments unabated pathetic Post-WWII history of acquiring/committing to 'off the drawing board' weapons/weapons systems/weapons platforms... M60 GPMG, F-111, Collins Class sub, F-35 JSF...., I think Ive made quite clear and obvious!). So as much as I am happy to have a reasonable hybrid arrangement, I'd prefer my 'Alternative ADF ORBAT' not employing fictitious or drawing-board design proposals. Its principle role/mission being that of reconnaissance by force, direct fire support, and an anti-armour capability. I perceive it needing to be wheeled for both endurance and cost effectiveness (both in terms of unit and running costs). I perceive it having the minimum of a 75-76mm high-medium velocity gun, to perform all three of its principle combat roles/missions effectively, with equal emphasis on its HE and AT capability/performance! It needs to have a realistic/sensible operational weight, as it will be the main component of the ADF’s RRF for the following two decades. It will need good cross-country mobility, and be able to endure the hardships of the Australian outback, jungle/tropics environments. Its not a necessity to be amphibious, although it would be advantageous. Im locking forward to your input, suggestion and input. Basically you have a choice of either ex-WWII stock such as the US M8 or Staghound armoured cars. Alternatively, you have the British/South African Marmon-Harrington series. Then you have the Australian Rhino armoured car. British - Saladin with 76mm gun. There are no post-war WWII armoured cars (as in turreted vehicles) from the US. I wonder how you would go having a developed version of the Sd.Kfz. 234 series? The V-8 Meteorite was offered as a diesel. Why not just say that Rolls-Royce created a similar V-12 Meteor diesel adapation? Greg's mention of the Sd.Kfz. 234 got me thinking German. How about the Daimler-Benz MB507 of 720-850 hp? I don't think DB ever restarted MB507 production but what if captured Schnellboote engines were reverse-engineering in postwar Australia? The MB507 is a little bigger than the Meteor but the Daimler's aluminum block would save weight. During the war, the US used twinned Detroit Diesel 6-71s - the Model 6046 - in tanks and tank destroyers. Not enough power for the Centurion but would suit your SPH. Then you could use single 7.0L Detroit Diesel 6-71 engines in your APCs, etc. (and possibly 4.7L 4-71s in support vehicles). Basically you have a choice of either ex-WWII stock such as the US M8 or Staghound armoured cars. Alternatively, you have the British/South African Marmon-Harrington desires. Then you have the Australian Rhino armoured car. Aircraft-wise, the obvious What If is to have the Aus government follow the UK example and cancel the F-111. The RAAF then keeps the leased F-4s and buys more to go with them. They might also buy the Buccaneer and/or join in the Tornado program. The next big What If if the Mirage replacement. Given the strategic situation, if they've gone for the Tornado IDS, them they might well be persuaded to go for the ADV as well, at least for part of the force. The other possible alternatives to the F/A-18 would be the F-14 (too expensive? ), F-15, F-16 or Mirage 2000. Given that the F-4s would be relatively young and capable of air defence as well as strike, that might well push them to a lighter, cheaper option such as the F-16 or Mirage 2000. In the early 1980s, the military trade-off between the F-16 and the Mirage 2000 was that the F-16 was more multi-role and had longer range, while the Mirage had better speed and climb rate and BVR missiles as standard. Of course, there are other political, financial and industrial factors to consider. The F-11F was developmental, but it had done a lot of successful test flying on company money and was being actively marketed. 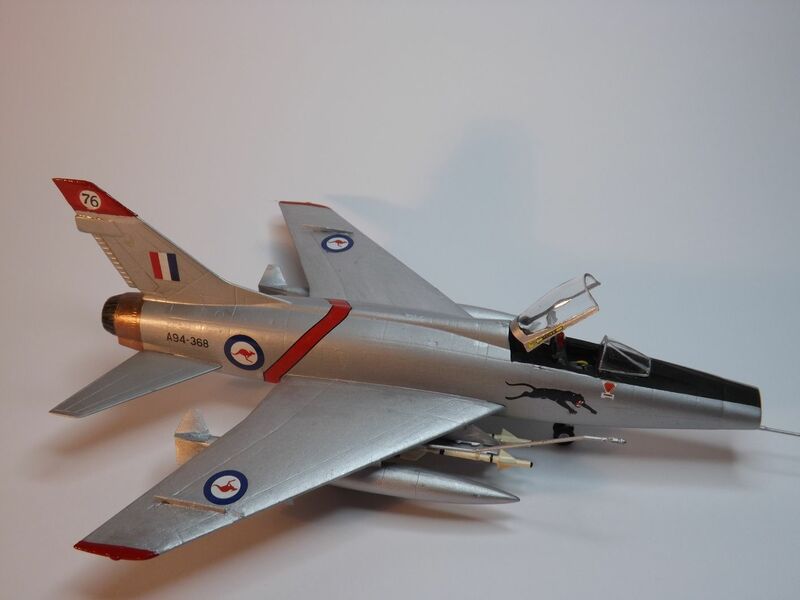 RAAF interest could well have stimulated earlier development of a longer-ranged, more multi-role Lightning. The Crusader is an interesting and often overlooked option. It had less speed than the rest, but considerably more range, and as subsequent developments showed, considerable weapons potential. The gun installation needed fixing, but the A-7D showed how to do that. I do know that in Phillippines service, the Metallite skinning (plywood bonded between thin aluminium layers) had problems with humidity, so I don't know if that would apply in some parts of Aus too. Having said that, Vought engineers worked out a solution for the PAF (local veneers that were better adapted to the environment) on a shoestring budget, so I'm sure something could have been done for the RAAF. On the whole, I think they made the right call going with the Mirage III, but it would have been nice if they'd gone for the Avon-engined version: much better performance (if significantly dearer) from an RAAF point of view, plus some nice engine sales for RR and quite possibly more export sales for Dassault. Both the Lightning and the Starfighter suffered from too short a range, compared to the other aircraft. 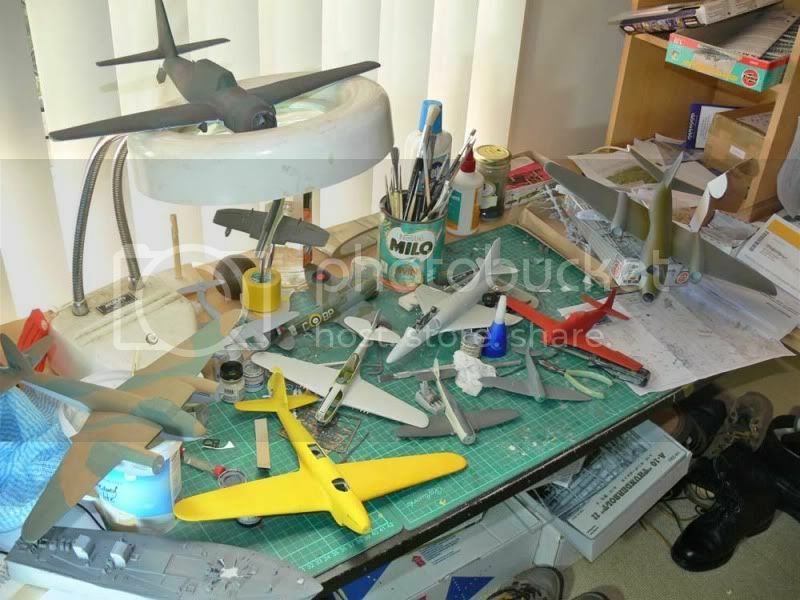 The Lightning and Starfighter were still in their early iterations. As you note, the F11F wasn't in production. 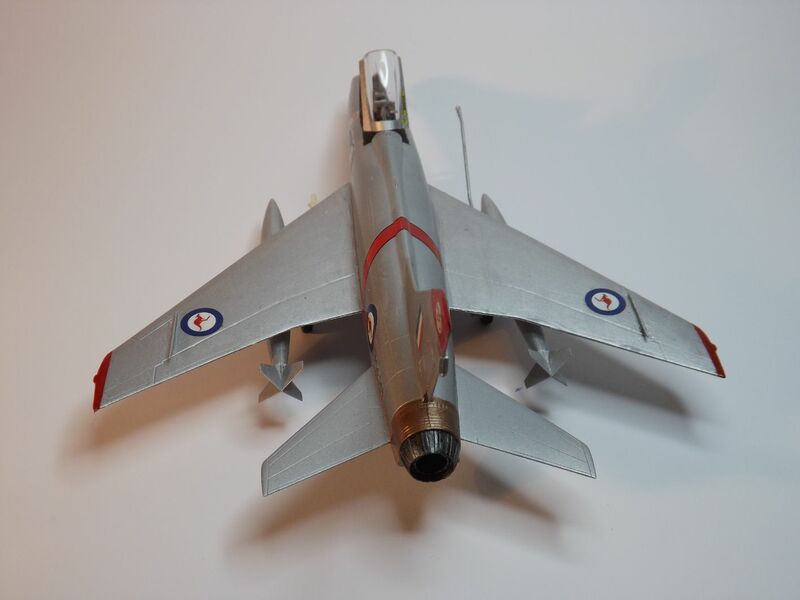 Both the Crusader and the Super Tiger were naval aircraft and the RAAF was not interested in the weight penalties that naval aircraft suffered compared to land based ones. So, out of the five the Mirage was really the only suitable Mach 2 aircraft to choose IMHO. Wow gents, I appreciate your reply, interest and input! suggestion, I too seriously thought about these designs, but I was a little concerned with obsolescence, with the prospects of them having to serve up until the 1960's-70's. Weaver, I like the idea of the Panhard EBR!! Its time frame is right on the money for what I want!! Oh and the French 75mm FL-10 gun is an impressive weapon, I would like included in my 'Alternative ADF ORBAT'!! As for the diesel engine issue gents, thanks very much (I'm ignorant to the history of Western diesel engines and they're employment post-WWII). the Daimler-Benz MB507 of 720-850 hp? Captured Schnellboote engines reverse-engineered in postwar Australia..
Not enough power for the Centurion but would suit your SPH. Then you could use single 7.0L Detroit Diesel 6-71 engines in your APCs, etc. (and possibly 4.7L 4-71s in support vehicles). makes a lot of sense, but how do you think it would coup up until the 1960's? Thanks again for your interest and input, and until tomorrow, good night! I don't see why not: there was an EBR-VTT troop carrier version that had a single-ended driver setup. The point of the rear driver position in a recce vehicle was to enable it to make a fast getaway at full speed, without having to do a three-point turn first. Interestingly, the Saladin was originally designed with a rear driving position (in front of the engine), but it was deleted when the gun was increased from 40mm to 76mm and the volume was needed for ammo. Changing the engine locaction would be a major exercise though, and I thought you wanted to avoid developmental/paper projects? Having the centre wheels permanently driven is a trade-off. Stopping them would reduce drive-train wear (although there's much less wear when they're raised: no load), but it would complicate the drive train with extra clutches etc... The point of them having steel wheels with ribs is that it gave them some of the enormous traction of tracks. At the point where you're stuck in the mud, traction is more important than ride quality. Both were in use until then in various Latin/Southern American and Middle-Eastern armies. Australia utilised the Staghound until the early 1960s in the CMF. Both were excellent vehicles and with proper care and attention, their maintenance was relatively easy. Others might include an air-defence version with something like a Kugelblitz turret. I like the EBR-75 idea. They were also used by Indonesia. Maybe up-gun to the EBR-90 as well. I don't see why not: there was an EBR-VTT troop carrier version that had a single-ended driver setup. The point of the rear driver position in a recce vehicle was to enable it to make a fast getaway at full speed, without having to do a three-point turn first. 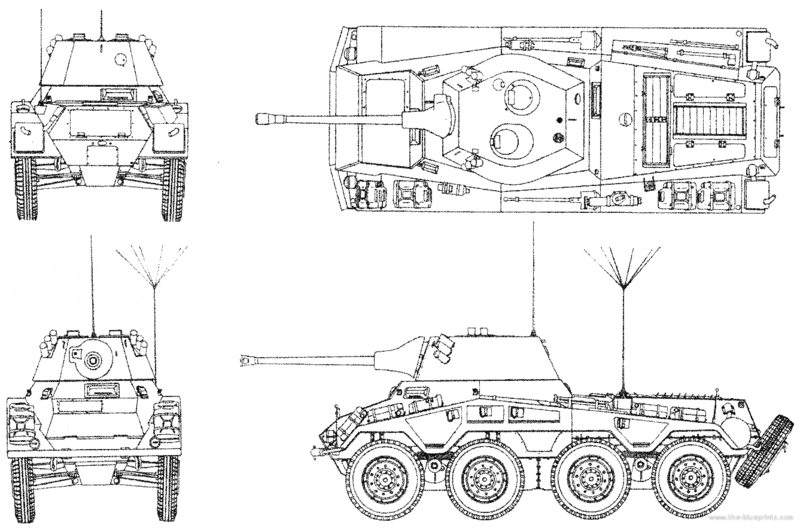 The concept of a second driver was also later used in the Spähpanzer Luchs. 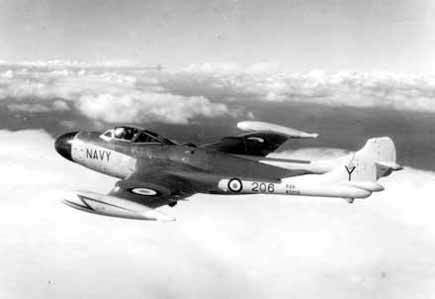 A navalised Hunter would have been an Australian project to specifically develop a type to operate from the Implacbles therefore would have had an appropriately located wing fold to permit it to fit. Ideally it would have been continually developed into a capable supersonic strike fighter to complement the more air defence oriented Tiger and Super Tiger. Logically the Tigers would have Avons to simplify logistics. Would love to see RAN, RAM and army aviation Hunters serving into the 90s or later in their various iterations, progressively being supplemented but not entirely replaced until the 2000s, the final versions would be quite comparable to the AMX. 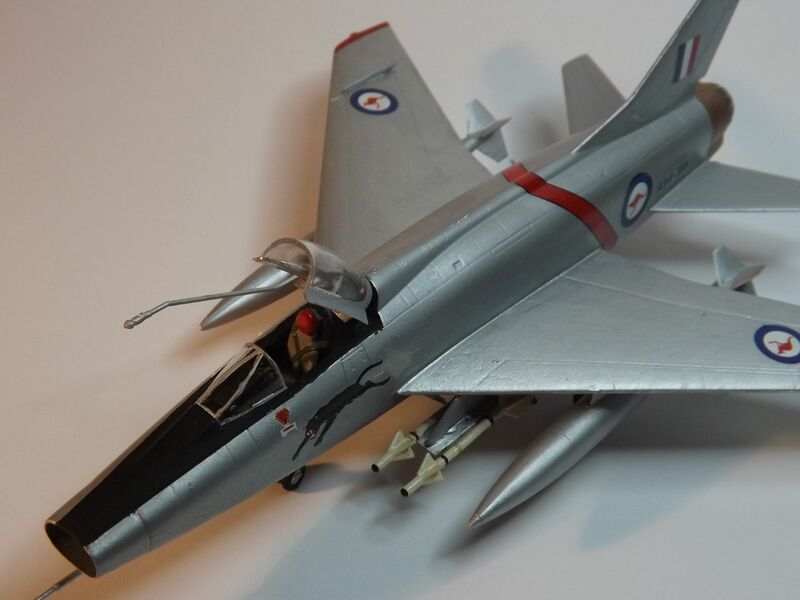 What would be a laugh is if CAC and Hawker Australia develop fighters for the RAN FAA that De Havilland Australia develop a land based variant of the Sea vixen for the RAAF Reserve squadrons all weather fighter flights. Sorry for my lack of participation and input gents! Weaver, due to the ‘off-the-drawing-board’ nature of the F-111/TFX, and as much as I love and appreciate the Pig, it will not be initially purchased by the Australian Gov/RAAF (If anything, until the design is matured, and its bugs ironed out, it would be more likely that I would consider the evolved F-111E/F model of the aircraft! ), nor that of the TSR.2! As you have alluded to in your Post #31, I too, would be leaning to a ‘conventional strike-tailored’ variant of the North American A-5C Vigilante. Now, by North American Aviation adopting the “operationally proven” Vigilante, would be within my perceived ‘risk factor’ parameters. Even though the Australian/RAAF order might only be seen as relative small in comparison to the USN’s orders of Vigilante’s, I think NAA would see a commitment to such a modification as a big benefit to opening up the market potential of the Vigilante – and who knows, the USN may even see its potential! Adapt the already existing USN RA-5C Vigilante carrier-based strike/reconnaissance, as is, with minimal modifications, which would need heavily supported by airborne refuelling assets to achieve its range parameters? The first option incorporating both time and cost penalties, but would be more capable of independent operations, with less reliance on airborne refuelling assets. The second option, although less capable in stand-alone configuration, would be significant cheaper. The savings in 'off-the-shelf' acquisition of the existing RA-5C, could allow for a latter replacement by a mature GD F-111F in the late 1970's (Actual USAF produced between 1970 and 1976! ), which was not just be a more capable and mature evolution of the TFX, but its technical teething problems were ironed out, and complemented with Precision Guided weapons, to give a unique, unmatched world class strike-reconnaissance capability! 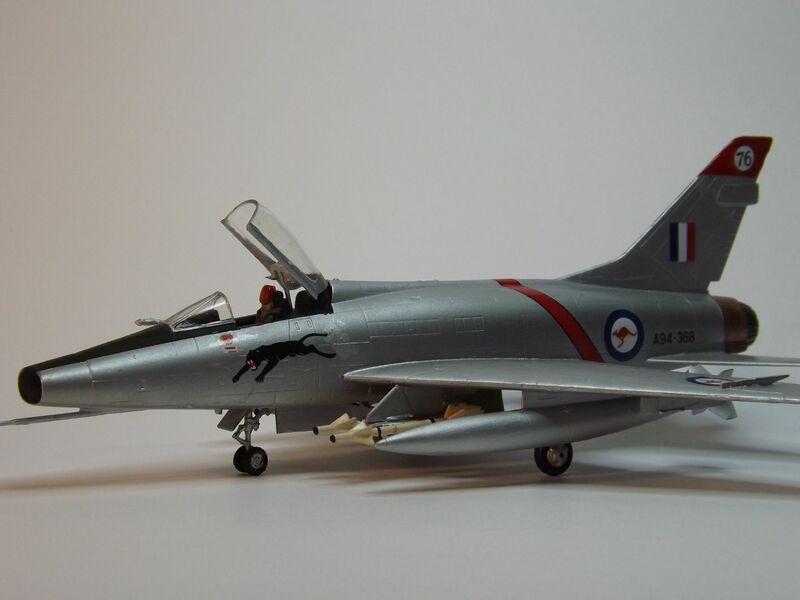 (As a side note - As standardisation will be strongly pushed for within the ADF, if the McDonnell F-4 Phantom II is adopted by the RAAF, (I envisage the Phantom II in RAAF service, as a long-range all-weather over water interceptor), its General Electric J79 turbojets, will have an important commonality with the RAAF’s North American A-5 Vigilante! Once again, I would like to emphasise the ADF’s pro-activeness to defence/warfighting in my 'Alternative ADF ORBAT’! If I can, I would like to see the ADF being more geared to an Israeli-like mentality of appreciating and learning from one’s own and others combat experience and military trends, as opposed to the reality of Australia’s near subservient follower of American and British trend setting. The psyche that first Britain, and then, as now, the United States would come and save us in time of crisis/war. So when it comes to the Request for Proposals (RfP) and selection criteria for weapons systems/platforms, I envisage the ADF seriously taking things like airfield dispersal and rough-field capability – learnt from the valuable combat lessons of WWII, Indo-Pakistani War of 1965 and the 1967 Arab-Israeli War, becomes a realistic factor in these aircraft ability to operate for long periods of time from dispersed locations. 1. Structure. The A-5's airframe was designed to have a continuous load-bearing structure in that area: cutting a huge hole in it would mean re-stressing pretty much the whole airframe, which would be an enormous and time-consuming exercise that would also drive a coach and horses through any 'commonality' wit the USN version. 2. Undercarriage. The A-5's undercarriage folds inward, not forwards as on the TSR.2, which means that there's very little centre-line clearance between the bays. The ventral 'canoe' fairing that you see on the RA-5C uses every last millimetre of available width and it's still not very wide. I think there's a middle way that's better. Converting the linear bomb bay to an efficient fuel tank is realtively straight-forward: you add some non-structural panels around the space, seal them, and turn it into an integral tank. Even if that can't be done, removing all the bomb bay equipment would allow you to fit permanent bag tanks between the frames with significantly greater capacity than that of the droppable store. Once you've got fuel in the fuselage, you can add stores under the fuselage. The centreline space might be narrow, but at least it's long, so you could fit a long, Tornado-style tandem pylon there with two, or maybe even three stations in tandem, which is a very low drag solution. I don't think you can put corner pylons behind the u/c bays because that area of skin is mostly non-structural engine bay doors, but I think you could put a pair of short pylons under the intakes which would be ideal for targeting or ECM pods. The Vigilante's wing has loads of room for extra pylons. You could get at least one, and possibly two more outboard of the existing ones, and even if you don't beef up the wing structure to increase the total pylon capacity, and just spread the capacity around more pylons, you've still got 6000lb under each wing, which is plenty. Your point about the Phantom and the Vigilante both having J-79s is well made: there would be a real advantage there. If the RAN had J-79 engined Super-Tigers, that would be an even more perfect fit. The A-5's linear bomb bay already had fuel tankage in it, two fuel tanks as well as the munitions store. There was a refueling system developed to replace the munitions with a hose and drogue unit; there's even a photo of one refueling another which is also refueling a third. It wouldn't be that difficult to develop dedicated KA-5's to support the A-5/RA-5/EA-5 fleet in extending range. For Instance, the Grumman Hellcat as a WWII fighter (on both speculative RAN carriers and land based), or perhaps a Bearcat/Tigercat combo? Post war, move onto the Grumman Panther (actually considered in real life) or better yet Cougar (maybe Avon/Sapphire engined?) or even better, the Tiger (already essentially Sapphire engined given the Wright J65 is a development of the Sapphire). This could then lead to the J79 powered Super Tiger...maybe used in conjunction with F-4 Phantoms in a HI/LO arrangement? Either way, both RAN and RAAF could keep commonality. Of course, the Super Tigers eventually get replaced by F-14s (maybe in my favoured F/A-14 arrangement). This might necessitate a new largish carrier design in the late '70s/early '80s. Grumman S-2 Tracker - already a real world platform. A CAC-Grumman partnership also offers a number of civilian products too. I would like to see the ADF being more geared to an Israeli-like mentality of appreciating and learning from one’s own and others combat experience and military trends, as opposed to the reality of Australia’s near subservient follower of American and British trend setting. I would caution against people putting the Israeli Defence Force (and by default their equipment) into some sort of 'ideal' example. The mythology of the Israeli preeminence as a fighting force is just that, a myth! If anything, it is simply an example of a force fighting for their lives surrounded by less than competent enemies. Moreover, having had a bit to do with some of their equipment/companies/operating methodologies in recent years I wouldn't necessarily rate them any better than their US or other counterparts...often worse. Moreover, when you talk about Australia following the US/UK trends, maybe you should also look to what Israel has done...I don't see them being so different or for that matter using anything different in terms of equipment. The psyche that first Britain, and then, as now, the United States would come and save us in time of crisis/war. Hmmm...I somehow think the various Israeli wars (eg. 1973 Yom Kippur War) might have been slightly different if the US in particular hadn't been willing to supply equipment. 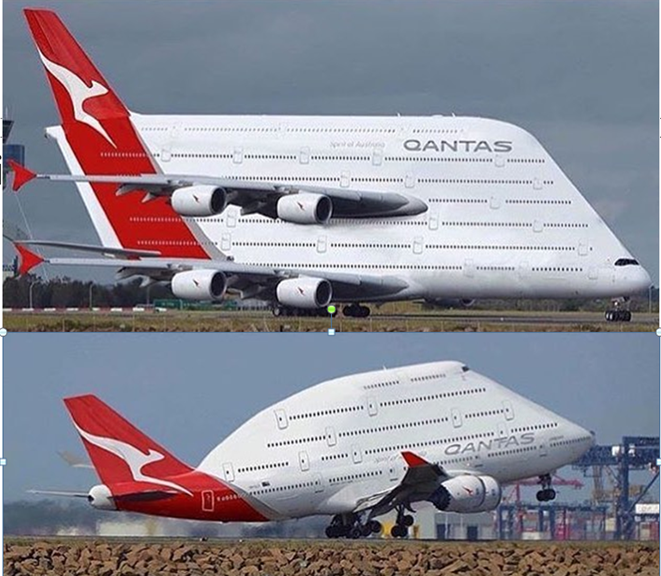 Yes I know, but they don't fit efficiently in the available space because they have to be able to fit in a long tube that extends through sever fuselage frames and slide out backwards. If you had rectilinear bag tanks fitted between the frames, that extended to the corners of the available volume, you'd have significantly more fuel. Hmmm...I wonder about a linear bombbay that still ejects conventional munitions out the back? If you only want to drop one out your three bombs, the CofG moves forwards. If you want to drop a new bomb that's an inch wider (that maybe you didn't design), tough. If you want to launch a missile, it pretty much has to be specially designed for your aircraft. If you want to carry a recce pack instead: tough. Israel-like mentality? As in "we've been denied Mirages, so let's make a knockoff copy (Nesher) and then jury-rig it with J79 (Kfir) because those are all we can have"? Or "we made a light fighter cheaper than F-16 but almost as capable (Lavi), but let's not manufacture it at all since our main weapons supplier told not to because it would eat into their market"? It's more like Israel has always had to make do with whatever is available rather than having a free choice, and the last few decades only the US has been willing to sell them equipment with no strings attached regarding their deployment (yet direct competition with US equipment by local industry is still frowned upon). The RA-5C had for its Nuclear strike role a linear bomb bay. The technical issue was that the Vigilante wasn't looking very promising in the strike role anyway. The linear bomb bay scheme sounded nice on paper, but it was a nightmare in practice. The bomb bay tube ran up the fuselage between the engines, and since it was much longer the nuclear store, expendable fuel tanks were tacked on in the rear of the store. During a strike, the entire assembly was popped out the tail with an explosive cartridge driving it down launch rails. 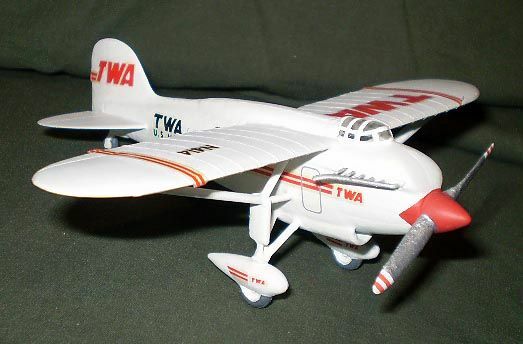 Not only did the scheme prove unreliable, the store also tended to "draft" behind the aircraft, preventing the pilot from laying it down accurately. The linear bomb bay would never actually be used for weapons delivery in practice. I am sure the problem of the nuclear weapon "being dragged along" could have been solved relatively easily with some drag inducing devices on the weapon. As for "accuracy" it all depends on what sort you're looking for. If it is pin-point accuracy, I don't think that will ever be achieved. City-busting accuracy, could be easily achieved. The USN was looking for the former, not the latter. The RAAF would like it but as the primary job of the RA-5C would be destroying Indonesian or Chinese cities, I think they'd accept the limitations inherent in the design. Mate, I had the opportunity to speak to a couple of highly regarded RAEME guru’s yesterday, regarding the Panhard EBR and the feasibility of relocating its engine, and how it might affect its differential arrangement between its four sets of wheels’ arrangement! Both agreed, that it wouldn’t be much of a technical issue to move the engine and gearbox rearward, as the vehicle wasn’t amphibious, its CG wasn’t a fundamental issue! In fact, they agreed that by moving the engine to the rear, as I proposed, the complication of the four driveshafts could probably be eliminated and a simpler arrangement could be applied. They also made note of the cooling arrangement and crew comfort would be substantially improved, with a rear-mounted engine arrangement, with separating firewall! Greg, I enquired into your suggestion of adopting the German Sd.Kfz. 234 8x8 armoured car. One of the RAEME guru’s, made note of an issue he states that they’ve had with the LAV-25/ASLAV series, that he might envisage with a ‘Conon 75mm SA50’ gun armed Sd.Kfz. 234, being that of a disproportionate ‘top-heavy CG’, when operating over harsh open terrain, like that found up North! It was interesting that he noted this ‘top-heavy CG’ with the LAV’s because the American adoption of the vehicle elected to use smaller diameter wheels, as opposed to the larger wheels of the original MOWAG Piranha 8x8 it was based on! (interesting and duly noted, as I’ve operated in LAV’s over the years!). But saying this he admits he’s no expert on the Sd.Kfz. 234! - The original EBR’s four inner metal wheels are replaced with four additional rubber tyres, as used on the main-drive wheels. - Paramount to the selection of the Panhard EBR, by the Australian Army, was the designs capability to be modified to have its engine relocated, so as to give far better and sensible access for maintenance and replacement in the field. To achieve this, Panhard, in cooperation with the Australian Directorate of Armoured Fighting Vehicles Production, redesigned, built, and tested two ‘modified EBR’s to validate the designs capability to meet the Australian Army’s requirements, before it committed to contract and licences-production in Australia. -To relocate and accommodate the new diesel engine [engine type/design still to be decided!] to the rear chassis and body area required the complete elimination of the rear drivers compartment and steering gear. -The incorporation of the longer barrels, higher velocity ‘Conon 75mm SA50’ gun, which offered superior anti-tank capability. P.S. As both a side note and of some relevance to this Alternative ADF ORBAT, I might have finally made some headway in obtaining more information and a contact re Australian Army’s ‘Project Waler’ of 1970-80’s! Which I'm very excited about!! I too enquired as to these RAEME guru’s input regarding the Daimler-Benz MB 507C 12-cylinder liquid-cooled diesel engine. They said that if the MB 507 was stereo-typically anything like the MTU MB 838, that they’d worked on with the Leopard’s, then they’d support the notion of reverse engineering it! One concern they brought up, was our then experience (re metal ergie) with aluminium casting. But saying this he would like to think that if the program was deemed so nationalistically important, we should have been able to meet the challenge! Which is reassuring! So perhaps this is our diesel engine for our re-engined Centurion tanks, what with 800hp and all that toque? M.A.D: I haven't found a great deal of info on the MB 507. I wonder if it had steel cylinder inserts? That would certainly simplify casting the aluminium block. Rubbish! Israel has certainly not been lacking for choice of weapons. And as for "strings attached", there are always strings attached no matter who sells! an issue he states that they’ve had with the LAV-25/ASLAV series, that he might envisage with a ‘Conon 75mm SA50’ gun armed Sd.Kfz. 234, being that of a disproportionate ‘top-heavy CG’, when operating over harsh open terrain, like that found up North! I suppose it really depends upon the role you want the vehicle to take. Personally, I believe a version derived from the Sd.Kfz. 234/2 with 50mm cannon would be more than sufficient for most encounters. If you want to give it more anti-tank punch, maybe equip it with an early ATGM. In fact, the Sd.Kfz. 234/1 with 20mm cannon would probably suffice as well - same solution re tanks. Modernized Sd.Kfz. 234 with 21st century armament, sensors, armor, engine could be built 1/35 if not 1/1. I haven't forgotten this Post! Still working away at it, with some appreciated support and cooperation of fellow forum members!! So much effort and so much work ........Ahhhhhhh Frustrating!!!!! Uh Oh,,, Now the Russians are meddling in your computer ! An early 60s SdKfz 234 built by the Swedes in the 50s and sold to Australia, could work. New diesel engine, modified 57mm/6 pdr in the turret and a couple of SS-11s on a rack on the turret as part of a scouting/tank hunting force in the Aussie Northern territories in the mid-late 60s. My notion of less alliance and dependence on the Britain/U.S. would have the ADF being more open to alternative options, if it meets their needs/requirements! Ok, after being very down on my hard and enjoyable efforts (more than six months of work, research and numerous assistance of talented profilers from this website) being lost, I think I'm getting my mojo back. I was really wanting to do my 'Alternative ADF ORBAT' backstory all in one. But I'm now I'm seriously considering posting the backstory in smaller segments, thanks to the kind efforts and talent s like your Mark (jonesthetank)! As I've conveyed, I lost 80% of my backstory due to a computer crash, but I'm in the process of reconfiguring my story!! As an acknowledgement of the amazing profile work this forums members have been so generous in supporting me, I'm posting some edited profiles to tantalize!! Thank you my friend for your patients and countless modifications to my requests! so - when will we all see your ORBAT? Im hoping to begin posting at the beginning of February my friend. Fortunately for me, generous forum members have graciously stepped forward and have been doing more and more specialised/tailored profiles pertaining to my backstory, which Im confident that you'll undoubtedly agree are well worth the wait, when you see them! But what I would like to lean on the forum's vast knowledge is in regards to 'Dassault's investigated air-air refuelling for the Avon engined Mirage IIIO'. Does anyone have any knowledge of what flight refuelling probe Dassault was investigating; or failing this, would anyone like to have an educated guess as to what flight refuelling probe Dassault might have come up with? 2/ a starboard fixed externally fuselage plumbed probe arrangement as used on Israeli and South African derivatives of the Mirage - Kfir and Cheetah; oh and the Douglas A-4 Skyhawk of course? 4/ a drop tank mounted probe arrangement as utilised by many early carrier-based fighter-bombers - eg Douglas F4D-1 Skyray? Ok, now saying this, if flight-refuelling wasn't permissible in 1961, when in real-world terms, that the Australian government/RAAF ordered the Mirage III, if I was to later upgrade my Mirage IIIO's with a flight-refuelling capability, which would be the most easiest and cost effective means of doing this - 1/,2/, 3/ or 4/? P.S. I think it might be worth a go contacting and asking Dassault itself about this! Note that option 4 is also used on some F-16's. Personally, I'd reckon option 1 as the most likely, followed by option 2. If I recall correctly that F-4 set-up was used to refuel ex-USAF F-4's rigged for boom IFR, as the Israelis were using probe-&-drogue IFR at the time. 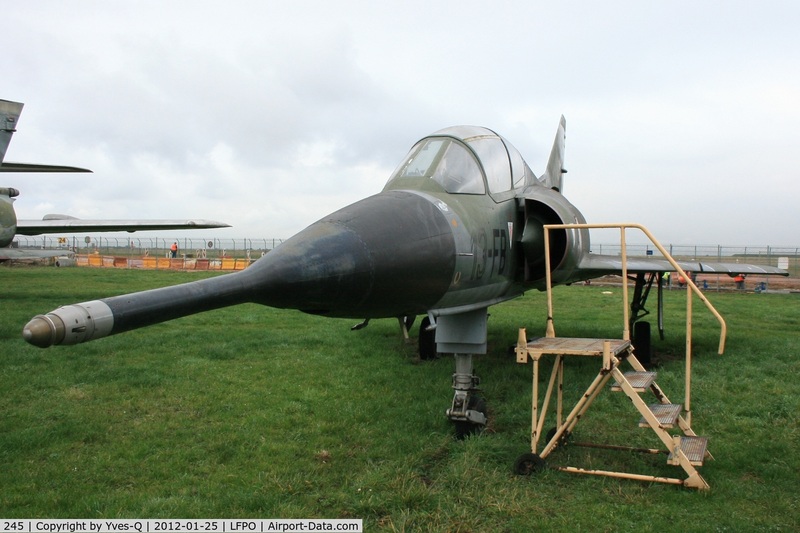 what I would like to lean on the forum's vast knowledge is in regards to 'Dassault's investigated air-air refuelling for the Avon engined Mirage IIIO'. Does anyone have any knowledge of what flight refuelling probe Dassault was investigating; or failing this, would anyone like to have an educated guess as to what flight refuelling probe Dassault might have come up with? Dassault had experimentally built an Avon engined Mirage and had investigated air-air refuelling for it, however the final decision was to stay with the standard IIIE. 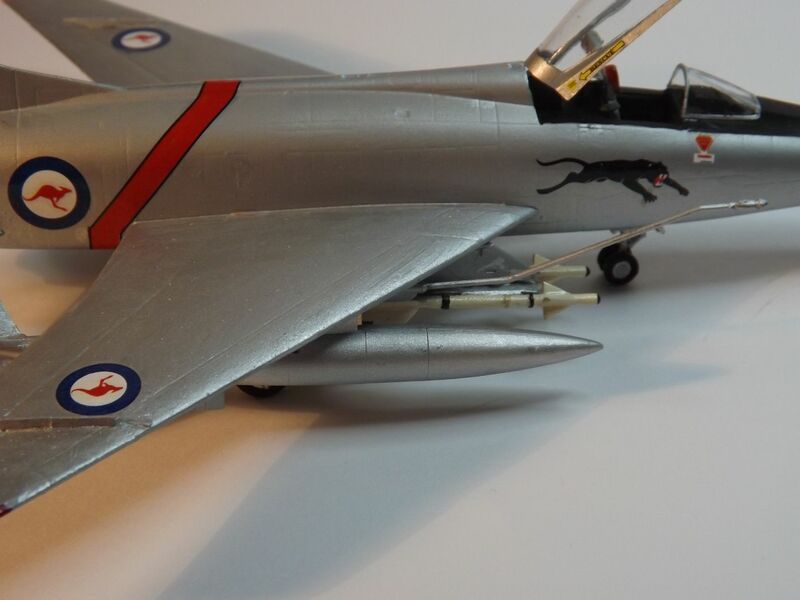 the RAAF asked Dassault not to equip the Mirage IIIO with single-point pressure refueling, on the basis that pressure refueling facilities would not be available at forward operating airfields. This decision had long term consequences, because even if the RAAF had later sought to modify the Mirage for air-to-air refueling, it could not be done easily as there was no single-point pressure refueling manifold within the Mirage into which to tap an air-to-air refueling probe. Interestingly though I cannot find any mention of an aerial refuelling capability in one of the best references for the Australian Mirages - "The RAAF Mirage Story" by WGCDR M. R Susans. Thanks gents for your replies! -replacing the F-111’s the AN/APQ-113 attack radar and the AN/APQ-110 terrain-following radar with that of the Texas Instruments TF/TA radar, Decca Type 72 doppler navigation radar and BAE Systems FIN1010 three-axis digital INS systems from the Panavia Tornado IDS? -installing a modified electrical, triplexed fly-by wire system, with electrical and mechanical back-up modes; Command Stability Augmentation System (CSAS) systems from the Panavia Tornado IDS ? -incorporating the automatic wing sweep system of either the Panavia Tornado IDS or Grumman F-14 Tomcat, so as to make the F-111C's flight profile more efficient and minimise the pilots workload? -replacement of the underpowered and unreliable Pratt & Whitney TF-30 turbofan with General Electric F110 turbofan engines? Now Im thinking the use of off-the-shelf systems such as the Texas Instruments TF/TA radar, Decca Type 72 doppler navigation radar and BAE Systems FIN1010 three-axis digital INS system, fly-by wire system, the Command Stability Augmentation System (CSAS) and the GE F110’s are all matured and R&D paid for, so I would be hoping that much of the cost/time/risk will be in the actual upgrade process, re-programming of the fly-by wire system to incorporate the flight characteristics of the F-111, as opposed to the Tornado IDS….. I also understand that the changing from hydraulic to electric actuators will be a substantially technical and a physical undertaking, but as I envisage this ‘update’ as a ‘mid-life update’, the aircraft are going to be stripped right down anyway for engineering lifespan appraisal, amendments and structural replacement processes….. I also appreciate that the USAF/General Electric seriously committed some time and effort into the ‘real-world’ study of the USAF’s F-111’s being fitted with GE F101 DFE (F110’s), but the end of the Cold War put an end to the F-111 in their service. Add to this is the ‘real-world’ USN/Grumman/General Electric modifying and fitting of a number of Grumman F-14’s with GE F110, which they designated as F-14A(Plus)’s and later F-14B’s, so such a task isn't without studying and practical engineering, nor risky! I would like to also emphasis that in my Alternative ADF ORBAT’ the F-111 is regarded by the ADF and politician’s alike, as a fundimental strategic asset of deterrents, and not ‘an add hock political toy of yesteryear, without a real mission/role’!, It is for this reason, along with the realisation that there isn’t another aircraft able to replace it, that the RAAF and government alike are willing to take both extensive time and money to not just keep the F-111 in service but also ensure its combat effective. So what does forum members think? Doable? Replacing the avionics is probably possible (if not all, then most) as long as there is sufficient power available. As long as the engine change can be managed in terms of structural interfaces to the fuselage, it seems that it should be possible. Installing a triplexed fly by wire system with electrical actuators everywhere, though, doesn't look doable at even the "mid-life" update level of rework. I think it's just too extensive in terms of managing all the changes while not wholesale changing the fundamental structure of the aircraft. I mean _anything_ is possible with enough money, but I think going electrical fly by wire mid-life is waaaaay past the cost-effectiveness point in the curve. I don't think the benefits would be worth the vast cost. Engine change is quite plausible (I've seen the Ft. Worth design studies) so that's a go. Replacing avionics where suitable and a wholsale "pull and replace" on the wiring probably would be useful, both to deal with the changed out avionics and with changes that creep in over time. If you don't mind a bit more effort and a slight reduction in clean top speed, replace the troublesome variable inlets with fixed ones (I'm leaning toward ones scaled up from those on the Super Hornet for my conversions). I have to agree, though, that for an MLU, converting to fly-by-wire and electric actuators does not seem cost effective and seems rather expensive. Now, I can see looking whether there are better OTS components out there that would improve system efficiency and/or reliability. Side thought: It wouldn't be the easiest job to plumb, but consider added a probe and drogue refueling capability similar to what was proposed for the F-111K in addition to the flying boom receptacle. Being able to tank from anyone might end up being a lifesaver for some crew. -installing a modified electrical, triplexed fly-by wire system, with electrical and mechanical back-up modes; Command Stability Augmentation System (CSAS) systems from the Panavia Tornado IDS? Well the F-111Cs did undergo the real life Avionics Upgrade Program (AUP) in the 1990s which involved primarily upgrading to digital avionics. This included twin mission computers, modern digital databus, digital weapon management system, new AN/APQ-171 terrain-following radar, new AN/APQ-169 attack radar, and twin ring-laser gyro INS. I am sure that anything you have suggested was considered. Now whether it was considered necessary 10yrs earlier is up for debate. I doubt the need was there though. The F-111 was performing very well and I doubt switching to Tornado systems would have conferred any performance improvement. As i was the eventual AUP was more about supportability than capability. I was involved in looking at replacing the TF30s with GE110s in the early 2000's and whilst possible it just didn't make economic sense given the life of type. It could have conceivably occurred in the -80s but realistically only if the USAF also did it. Perhaps in conjunction with the F-14 also being re-engined as such. That said, I will reiterate again that the TF30 was never deemed a problem for the F-111. Thank you elmayerle and GTX for your informative replies! I've just revisited and revised my initial question, so could I ask you to both re read it and if applicable re reply please? please?, so that I could incorporate some of the facts in my backstory. Also,I hear and like your analogy regarding the flight refuelling plumbing and receptor, although this is another fundamentally 'real-world' issue that I've put emphasis in fixing! GTX I full heartedly appreciate and take on-board you practical knowledge and experience with the F-111 in RAAF service mate. able/mature enough to have been done say in the late 1980's or am I pushing the technological boundaries? In terms of replacing the TF-30's I was aiming for a better fuel efficiency, lower maintenance man hours, and the acknowledged fact that with the GE F110's, operationally, my F-111's would be able to operate in the realms of dry thrust to achieve given performances, which would otherwise require the use of afterburners to achieve the same performances - hence I'm thinking a net financial saving in fuel and maintenance costs for the duration of the F-111 in RAAF service life ~ 2025-2030. The F110-GE-400 engines are much more fuel efficient and give the F-14A(PLUS) sixty percent more range, 33 percent more time on station and a 61 percent improvement in rate of climb. Sorry, I saw those studies while I was working there and didn't get opportunity to copy them. Timeframe when they were done would have been 1988, IIRC. There were no major structural issues involved in the engine replacement, mostly those changes required for the different engine mounts. As I understand it, the AUP incorporated the best aspects of the modernization programs developed by the USAF to bring all of their F-111s, FB-111s, and EF-111s up to a common equipment fit standard; that definitely needs to go along with the other changes we are discussing here and would probably encompass the wholesale wire harness replacement I mentioned (on the V-22, that's part of a common nacelle replacement program for the USMC that aims to bring all aircraft to a common configuration and do away with excess wiring that's accumulated over time as boxes and systems get replaced). Thanks tankmodeler/Paul for your feedback and input my friend. Ive just stumbled across an article pertaining to the Saudi Air Force's new F-15SA variant, which talks about the Saudi's incorporating "a modern fly-by-wire flight control system in place of the hybrid electronic/mechanical system used by all previous F-15s." Well, like I said, anything is possible if you're willing to spend the money on it. Remember, Australia had 24 F-111s. Saudi Arabia is amortising their development costs out over over 100 aircraft. For Australia, those costs would be going into just 24 airframes. And remember, one of the largest portions of the development cost would be developing, testing and verifying that the software controlling the fly-by-wire system actually worked properly. This is an oft forgotten, yet huge part of any digital upgrade. So doing all of that for 24 airframes, yeah, it's possible, but I bet it would run into the $billions. Just for the software and test phases. The cost of the Lockheed F-104G Starfighter in 1961/62?